Al’s Lawn and Garden has been built on a reputation of providing Chatham Kent customers with consistent and professional grounds keeping services for over 30 years. Our companies dedication and commitment to the horticultural industry has been providing our customers with the best quality, the best service, and the best price since 1981. If you want consistent, trouble free grounds keeping at a great price, there’s only one place to call — call the pros at Al’s Lawn and Garden. 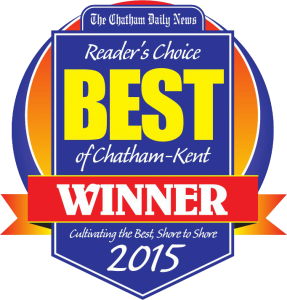 Al’s Lawn and Garden has provided full time grounds keeping services to the Chatham Kent area since 1981. Our staff is insured, trained and well equipped to tackle any job, big and small. Our focus is to provide a professional service from initial phone call, to estimate, to job completion to final billing. If you have any questions or concerns during any stage of this process please contact us.